As your anniversary rolls around once again, it can be easy to think back to all the romantic memories that you have created over the years. Why not look to carve even more as time goes by? The best places for celebrating your anniversary are sure to bring the romance back to life. Sometimes, a little trip away is all we need to remember why we fell in love. The City That Never Sleeps can also be the perfect place to celebrate your anniversary with your loved one. Central Park is filled with beautiful walks that can be enjoyed at all times of the year, while the shopping offers up the perfect chance to find the perfect gift for your beloved. As if that wasn’t enough, New York City is also filled with some of the classiest rooftop bars and restaurants that will add that touch of magic as you look down at the hustle and bustle below. If exotic blue seas, sandy beaches, and perfect weather are what you’re after, then look no further. This little island is filled with romantic activities all nestled within the incredible landscape. Some resorts offer up private bungalows with personal plunge pools while others come fitted with secret lagoons. Either way, there is plenty of snorkeling to give you a chance to see the underwater world and some delicious meals on land that will provide you with a reason to head back to the dry. Take me there now! Sometimes, an anniversary trip can be all about finding ways to relax and unwind. If so, Bali could be the answer for you. Here, there is no end to the number of spas and meditation retreats that will give you the physical and mental boost you may need. If you find yourself itching to get out and see the local sights, then there are a number of temples dotted all throughout the landscape as well as some of the most picturesque beaches on the planet. California is the home to many things, and it seems as though it could also be the place we need for a romantic getaway for our anniversary. The area is filled with vineyards, and you know what that means, right? Yup, plenty of tasting of all of that produce. 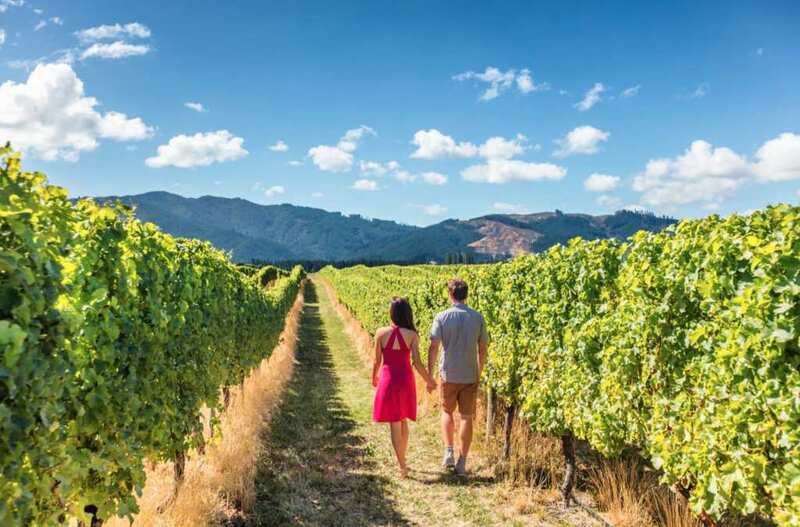 As well as a walk around the hundreds of acres of vines, there is also the chance to explore the surrounding villages that are teaming with boutique businesses and local restaurants – a true escape from the real world. Whether you want to jet abroad or stay close to home, it looks as though there are plenty of ways we can enjoy celebrating our anniversary all around the world. From the sandy beaches to a city break and everything in between – it seems there is romance all around the world for us to enjoy. Now, all we need to do is book those tickets and pack our bags. Who needs an excuse to head abroad anymore?